Daily nutrition is directly tied to both long-term wellness and enjoyment of life. Meals at the Heritage receive special attention from our staff and management because we understand that, in order to ensure your loved one’s daily sustenance, we must provide nutritionally-balanced meals that are also pleasing to the eye and palate. Staffed by experienced culinary professionals, our kitchen creates three meals a day, offering variety while considering dietary restrictions and personal tastes. Always seeking to protect the health of your loved one, our menus are designed to ensure that all nutritional guidelines are met. 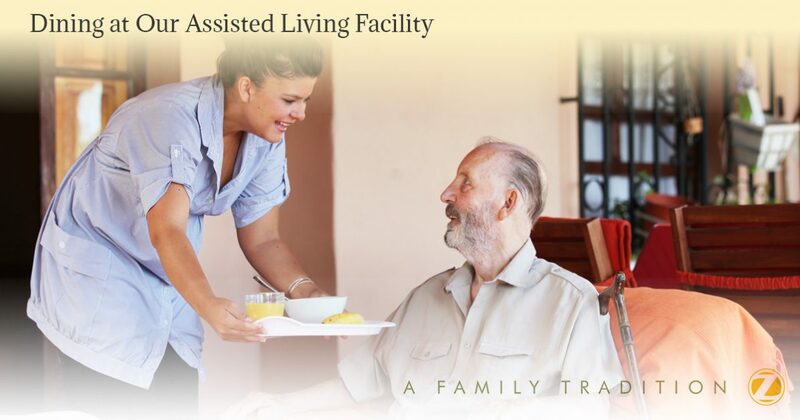 Find out more about our meals, kitchen, and dining areas by contacting our resident care staff to schedule your personal facility tour today. We look forward to meeting you and your family. Please click here to see this weeks menu.